Succession management is the formal process by which businesses identify employees that can fill leadership roles within an organization when there is a change in leadership based on the employees performance. It is sometimes referred to as “building a bench” of players that can step up, should a key member of staff move on. This process is most often used when an employee moves to a different company, falls ill or gets promoted. Succession Management is a vital planning system that can help your business stay afloat when others fall into crisis mode. Here are five things you should be doing now to make succession management work for you. The reality is that not everyone will stay in their current role forever. You know it and your team knows it. Why does no one ever talk about it? The first step in succession management is fostering a transparent work culture. This starts right from your first career fair recruitment efforts. Your team should feel comfortable talking about the fact that there will come a time when staff will leave. It is then that a need to restructure will arise. Being honest about this possibility takes some of the anxiety out of the situation. It allows your team to come up with constructive solutions for the inevitable. If you want succession management to work for you, the first step is to be transparent with your team about its necessity. If you want to know how to generate leads for an open position, you want to make a serious commitment to development with both time and resources. Without making this commitment both monetarily and in regards to time, you will not be able to coach employees to fulfill the responsibilities of higher positions. If you try to implement succession planing strategies without investing in development, it is useless. Spend time developing candidates without regard to its costs. You will be glad you did. The next step in succession management is getting to know who will be your key players when a member of the leadership team leaves. Talk to your staff and find out their career goals. Identify those that are interested in promotion and the particular roles they are interested in. This can bedone using team building exercises. You may have multiple people interested in the same position. Or you might discover that no one is interested in a key role you assumed would be popular. It is best to know these facts before the need arises so you can adequately prepare. If you are interested in succession management, make sure you get to know your team. Define your goals for the business in terms of workforce planning and management, as well as leadership development. Identify the key job titles and roles, as well as identifying criteria to define success for each job. Review your employees and rate their preparedness for promotion. Execute plans to reach your leadership development goals and close gaps in employee preparedness. Measure the success of your succession management structure. Follow these simple steps to help you easily develop a succession management structure. Just be sure to not forget the importance of Human Resource training and other professional development. Once you have a transparent company culture and an idea of your team’s career goals, you should create a development plan. Succession management works best when there is little to no interruption in the major components of the business. One way to achieve this is to develop your employees for roles beyond their current position based on current employee performance. Mid-level employees should be cross-trained to cover multiple departments should an emergency arise. Subordinates should work closely with managers to learn the higher aspects of the business. Have your staff cover different roles during absences, business trips and vacations. This will help you to see how they perform. Consider it a trial run. Remember, as mentioned above, to be honest with these plans. Use these tools as step three in your succession management. If you have followed the first three steps detailed in this post, you should be ready to build a pipeline to reach particular business goals vs outcomes. True succession management requires something more than a hierarchy of who could fill certain positions if the need arises. You should build a pipeline of motivated employees that have been developed for specific roles. If you have been transparent within the company, those employees should be aware of their proposed role in the future. This will make the process much easier when it becomes necessary. If you are serious about succession management, make sure you build a pipeline. When building your pipeline and getting to know your team, you may find your succession management requires some creative thinking. The “next in line” growth strategy is not always an effective one. You may have a talented employee in an entirely different area that could fill a vital role. Similarly, you may have staff in roles below their capability that could jump multiple levels of responsibility depending on their experience and talents. This should become apparent when you are digging deep into your company’s succession management. Finally, do not forget you may need to go beyond your company. You may need to consider outside candidates for leadership roles. The same rules apply, however. Be transparent, get to know potential candidates and prepare for this possibility. When it comes to succession management, it is important not to limit yourself. Succession management is a process that should be embraced by all business owners. Losing a key member of a leadership team can be one of the most stressful business challenges. It may severely impact a business’ performance. 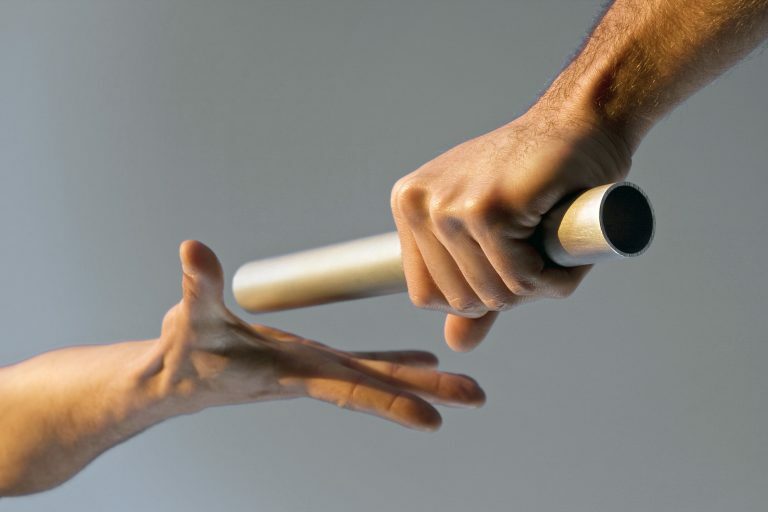 Use the steps listed in this post to develop succession management tools for your business. You will be glad you did when the time comes to put your plan into action.